Greetings, frustrated owners of Timex sport watches. I’m glad that essay I wrote in a fit of nerd rage continues to draw such interest at each time change, and I hope that at least some of the people who come here looking for help taking their timepiece in and out of Daylight Saving Time stick around and keep reading. I spent much of this week wrapping up work on a long and long-delayed story. This coming week will see me in Dublin, where I’m covering Web Summit and catching up with some cousins I haven’t seen in over a dozen years. That’ll be my last air travel for work this year, and I am quite okay with that fact. 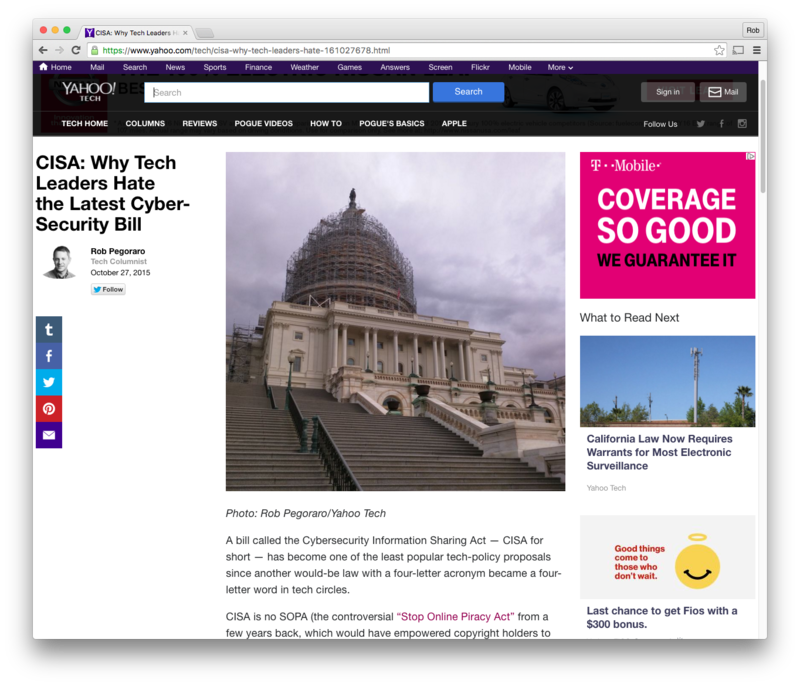 I had meant to write about this cybersecurity bill earlier, but instead this post went up on the day that the Senate approved it by a 74-21 vote. I guess the folks there did not find this piece terribly persuasive. FYI: If you don’t like rants about Obama’s creeping dictatorship, you might want to avoid the comments. 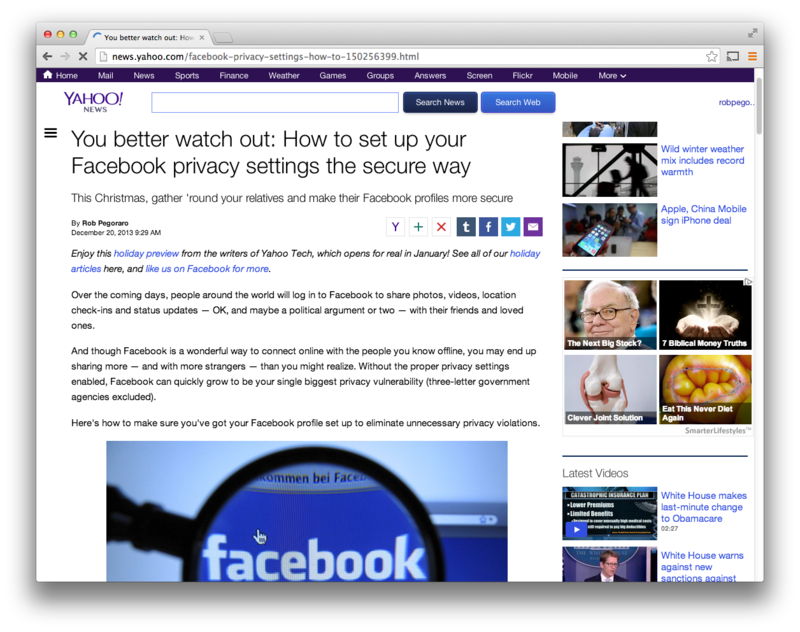 Want to protect your privacy by giving a site a custom e-mail address that still lands in your inbox? Some won’t let you do that, and their explanations don’t square with the basic specifications of e-mail. Spending the first half of the week out of town for SXSW put more of a dent in my schedule than I realized–as you can see from the unusually late time I’m posting this. Seriously, where did the second half of the week go? I pretty much had to focus my writeup of the conference on the remote interviews of Julian Assange and Edward Snowden–both outspoken critics of the surveillance state, both beset by glitches with their Internet-video links. 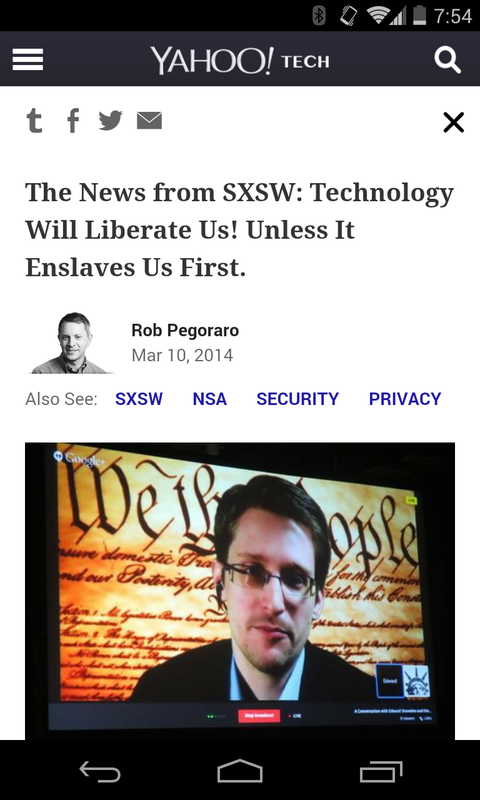 It’s crazy to think that a year ago, almost nobody at SXSW had any idea of what the NSA had been up to; the mood in Austin seemed a lot cheerier about the prospects of technology back then. A reader had bought a cable modem after reading my recommendation to do so last August. Then Comcast said she couldn’t use her purchase. And things got really weird. A reader has since complained that the column left him “totally confused” about whether he can buy a modem on Comcast’s approved-devices list and have it work; I’m going to have to tell him he has correctly read a confusing situation. Total CES PR pitches received this week: 193 (not counting e-mails from the Consumer Electronics Association itself). Total news items this week about my own work: only one, but it’s reasonably big news. I spent more time than usual with this home-broadband option, mainly because it kept failing to work as advertised. Please don’t subject yourself to it. One part of Yahoo Tech’s holiday preview was a list of positive developments in tech this year, written as a series of Upworthy posts. My nominations: tech companies getting quasi-radicalized about NSA surveillance (after this ran, Verizon and then AT&T said they’d follow the example of major Web companies by posting transparency reports about their responses to law-enforcement inquiries), T-Mobile dynamiting the subsidized-phone business model, and customers pushing carriers to backtrack on phone unlocking. I wrote about 1,100 words on how to change the default settings on a Facebook account to maximize your privacy (in terms of sharing your information with friends and no farther) and your account’s security. To those who left “just delete your account” comments: Thanks, that’s super-constructive advice to offer people who can’t get their friends to switch from Facebook to a Diaspora pod, the WELL or the local BBS. One last Twitter chat about tablets for the year. I was a little off my game for this one, having woken up at 4:30 that morning to catch a train to New York and then realizing I was coming down with a cold. I talked with podcast hosts Michael O’Connell and Julia O’Donoghue last weekend (hence, no mention by me of my Yahoo gig, which at the time wasn’t public knowledge) about the changing state of the journalism business, what’s worked for me as a freelancer, and the importance of being your own publicist. My editor liked a short bit I’d written on Sulia about how to prepare for the inevitability of providing tech support for the family over the holidays, so I expanded it–and added advice to myself to not get so visibly and profanely exasperated over malfunctioning hardware. On Sulia, I complimented Bing Maps for noting the reopening of a downtown D.C. street before Google, expressed curmudgeonly exasperation over dumb design choices in higher-end point-and-shoot cameras, wondered what a customer could possibly do to prevent in-store data breaches like Target’s Black Friday debacle, asked why OS X should be so slow to connect to known WiFi networks, and shared consolidated responses to CES PR pitches. I had meant to write an essay for the Disruptive Competition Project on this week’s Techonomy conference–but the post that seemed easy when I pitched it to my editors turned out to be anything but once I started trying to string words together. After spending about all of Friday bashing the piece into shape over multiple rewrites, I filed it so late that the post would have gone up at news-dump time. Fortunately, management elected to save it for Monday. 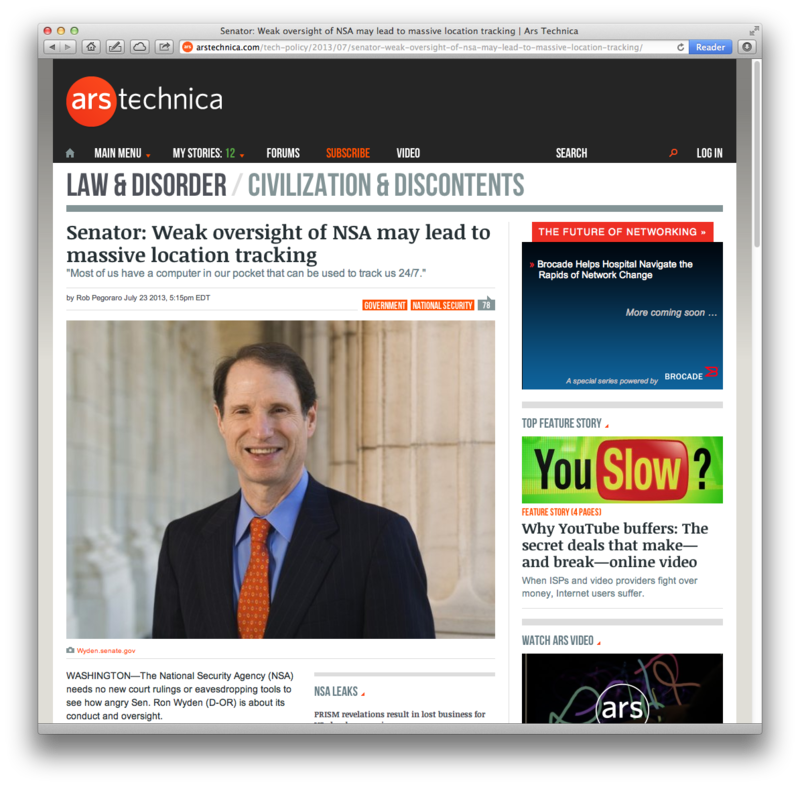 I’d meant to write something earlier about the “it’s only self-serving, manufactured outrage” critique of tech companies publicizing their disapproval of the NSA’s snooping, and the latest round of creepy revelations (combined with the f-bombs being tossed around in Google+ rants by infuriated Google engineers) gave me an excuse to address this issue. A question from a reader about a Twitter abuser trying to hide the evidence of her misdeeds and a friend’s account of somebody impersonating his dad on Facebook while apparently blocking him from reporting the violation led to this post. Both of these companies need to fix some bugs, or at a minimum revise misleading directions, in their abuse-reporting systems. Since nobody seems to have called out these problems before, I’m a little happier than usual with this post. On Sulia, I shared details from a couple of interesting talks at Techonomy (one on voting, another on Microsoft security), provided 30 turns of phrase you can use instead of the “disrupt,” shared what it takes to put somebody in my contacts list and explained how a promising feature in OS X Mavericks’ Calendar app turned out to be near-useless to me.